The Iranian Jewish community is one of the oldest in the world, claiming more than 4000 years of continuous presence in Iran. They counted more than 80,000 members before the Islamic revolution of 1979. The biblical books of Isaiah, Daniel, Ezra, Nehemiah, Chronicles, and Esther contain some references to the experiences of Jews in Persia. Persians kings of the 5th century B.C. era are credited by biblical sources and scholars as having helped the Jewish re-construct the Solomonic temple after their return from Babylonian exile. The present day Persia, known as Iran hosts the largest Jewish population of any Muslim-majority country. After Israel, it is home to the second-largest Jewish population in the Middle East. 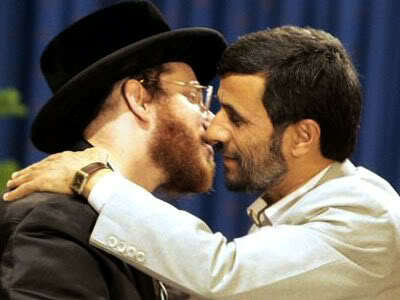 Jews are provided special protection in the Iranian constitution. Conversely, Israel hosts the largest group of Iranian emigre Jews, second only to the United States. In 1993, Israel was home to 75,000 Iranian Jews, including second-generation Israelis. The United States is home to approximately 100,000 Iranian Jews, who have settled especially in the Los Angeles area and Great Neck, New York. The 1979 Iranian Revolution drove most Jews out of Iran, forming one of the wealthiest waves of immigrants to ever come to the United States. Some prominent Irani-Jewish families still exist all over the world especially in south California where they form a formidable community of rich and influential business and media people. Some Irani-Jewish families have only recently converted to Islam and can still be counted among the leading lights of the Islamic world. One of the very prominent and highly visible Jewish Iranian descendants of our time was Dan Halutz. Dan Halutz born August 7, 1948 in Tel Aviv, Israel was an Israeli Air Force Lt. General and former Israeli Air Force commander. Halutz was later appointed as Chief of Staff of the Israel Defense Forces on June 1, 2005. he led the unpopular and unsuccessful war against Shiite Lebanese in the spring of 2006. On January 17, 2007 he announced his resignation. Dan Halutz was born to an Iranian Mizrahi Jewish family which had migrated to Palestine from Iran just after the formation of the state of Israel. He is one of the many hundereds of prominent and privileged Jews who bear heritage in Iran and Iraq. It recently surfaced that Ahmadinejad the current Prsident of Iran, anti-semite par-excellence is actually from an Iranian jewish family by the name of Sabourijian. Sabourijian is an Iranian jewish name which means “the jewish tailor”. The “jian” at the end of the name implies that the family was a pious and practicing jewish family. Ahmadinejad originally named Sourbrijian hails from a rural village in Iran. He has never denied that his family changed its original name athough that name has never been publicly disclosed until this month. Given the close connection between the members of the Israeli and Iranian elites one wonders what is up with all the sword rattling between those two states these days. One must not forget the role played by Israel in supplying weapons of mass destruction to Iran in the hey-days of the Iran-contra scandal. This happened in the late 1980s. The money from the CIA drug scheme was used to pay the Israelis to supply weapons of mass destruction to Iran (which was supposedly under an arms embargo for non-cooperation with the western world). The Iranians paid for the weapons and the profit from that sale was then used to resupply weapons to the Contra rebels of Nicaraguay to destabilize their leftist-leaning government which the United States elites hated rabidly. Nicaraguay was coveted by the elites of the United States as a republic that would contain their vast endless banana plantation. The Nicaraguan people were to serve as banana plantation labourers/share croppers. But then the left leaning Sandinistas sought to move their country away from such wicked polices and thus incurred the hate of the U.S. government. Israeli secret agents brokered the entire deal. When it was busted, it was such an international scandal that would have destroyed the fabric of international morality or whatever was left of it. One Colonel Oliver North was offered as the scape goat for the entire mess. He got pinned with the blame and deflected attention from the role played by his masters. The Iran Contra affair occurred at a time when United States and Iran were ostensibly on the path to war in 1986. Iran was in the midst of war with Iraq and was accussing United States publicly of undue interference. There were exchanges of gunfire between the navies of the two country and it was even alleged that a United States warship shot down an Iranian airline civilian plane over Iranian air space under the mistaken assumption that it was under attack. More than 286 passengers perished in that incident. In the meantime, Reagan and Ayattolah Komehini were the best of friends. Oliver North, front man for the international secrets rulers of the world was helping Iranian war efforts against an American backed Iraqi war machine. Oil prices kept on climbing. Rich got richer and the rest starved. Diseases and pestilence grew in degrees. Yet the sons and daughters of humanity were endlessly distracted by all manners of soap operas including new reality shows, political shows, international news, war movies and war stories. So when you hear about wars and rumours of war between the unholy friends known as United States, Iran, and Israel, pay no mind, for it is indeed another great deception between allies who have collaborated for hundreds and thousands of years if we can stretch our imaginations. You are reading Rasta Livewire. For all things Africa, visit AfricaResource: The Place for Africa on the Net.